CAPS United are determined to turn the corner, but a clash with Highlanders at Barbourfields on Sunday give them little to smile about. The 2016 champions are licking their wounds after a 2-1 defeat to Ngezi Platinum. 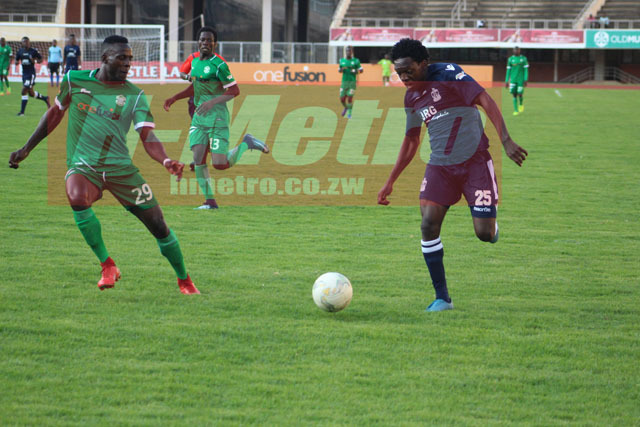 Despite the fact that CAPS United were a real match for Ngezi Platinum, coach Lloyd Chitembwe was disappointed with how they performed. “Our application was very poor. There were times it seemed we would be overruled by the occasion,” Chitembwe said. “They applied themselves well and they got their two goals. I’m sure they deserved the victory. “We have to keep on fighting and the most disappointing thing is that we keep on conceding goals. Chitembwe’s opponent Madinda Ndlovu watched CAPS United in action on Sunday. With Ngezi Platinum moving to 29 points, Bosso are determined to ensure the gap is not extended with victory over CAPS. On Saturday, Madinda was not impressed with his team in a goalless draw with Yadah, indicating that he could not believe it is the same team that was playing good football from the beginning of the season. Chitembwe on the other hand said they will need to produce results and not be satisfied just with playing good football. The introduction of Peter “Rio” Moyo for Denver Mukamba on Sunday gave them an upper hand in midfield as he combined well with Joel Ngodzo. “It wasn’t good enough. Sometimes it is not about the dominance, ball possession. What is more important is are you creating enough to cause damage and opportunities to hit the opponents,” he said. Ngezi Platinum coach still believe CAPS United have what it takes to win any game. “This is a good CAPS United if you want to consider that this is virtually a new team after they lost so many players. “They have done a good job in assembling a very good team which gave us a good run,” he said.